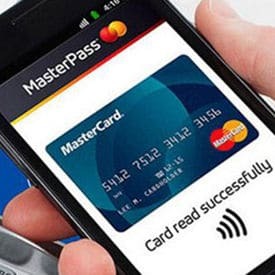 South Africans can now use Mastercard’s Masterpass digital wallet to pay for goods and services at more than 30,000 merchants accepting SnapScan in South Africa, using their mobile phones by scanning a QR code at the point of sale. “To pay, Masterpass users simply need to scan a QR code, or SnapCode, displayed at point of sale or online at a wide range of SnapScan merchants including coffee shops, professionals like doctors and market vendors,” Mastercard says. “They then enter the payment amount into their Masterpass app and confirm the transaction with their ATM PIN or a one-time PIN sent to their mobile phones. SnapScan was launched in the country in 2013 by Standard Bank. It partnered with Chinese ecommerce giant Tencent to let users of P2P messaging service WeChat to make payments at SnapScan accepting merchants in November 2015. “Given SnapScan’s extensive acceptance footprint, the ability to offer merchants a single QR code which will accept payment from multiple mobile wallet solutions such as Masterpass is the driving force behind creating interoperability,” says Lincoln Mali from Standard Bank. An enhanced version of Masterpass unveiled in July 2016 added in-store NFC mobile payment capability to the service. Mag-stripe cards are beyond end of life and safe use. Mobile (card-less, contactless, and (credit card account) numberless) is the future. What is your strategy?